While you don’t want to blindly follow trends, it’s important to keep your website looking fresh and current. Just like the window of a storefront, you want your website to look well-cared for, up-to-date, and relevant—not dated or old-fashioned. In that sense, applying some new design trends to your site can provide just the makeover you need. Having helped a bit with our own recently completed website overhaul, I’ve been digging through all the latest web design trends and want to share them with you. 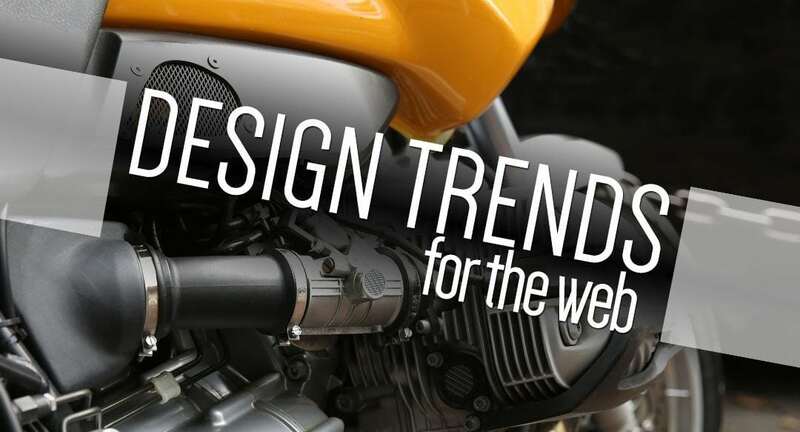 Better yet, I’d like to show you how you can take advantage of these trends with the dozens of new and improved templates that are now available on Jimdo. Many websites have a traditional sidebar running down the side of the page. Removing the sidebar, or sliding it to the bottom of the page where it can serve as a footer, provides a much wider space for your body content. This is popular for magazine-style sites and ones showcasing large bold images. Once the sidebar is gone, it’s great to have all that space. But be wary of making super-long lines of text. Just because a content area is really wide and you can have your paragraphs stretch from side to side doesn’t mean that you should. Aim for line-lengths of 40-60 characters and use plenty of images, columns, and white space to let your words breath and be more readable. Sidebar on the bottom with the Cairo template. The sidebar on the bottom allows for a wider content area. To get this look, try Jimdo templates Chicago, Cairo, and Riga. Hero areas are built into several of the new templates on Jimdo. 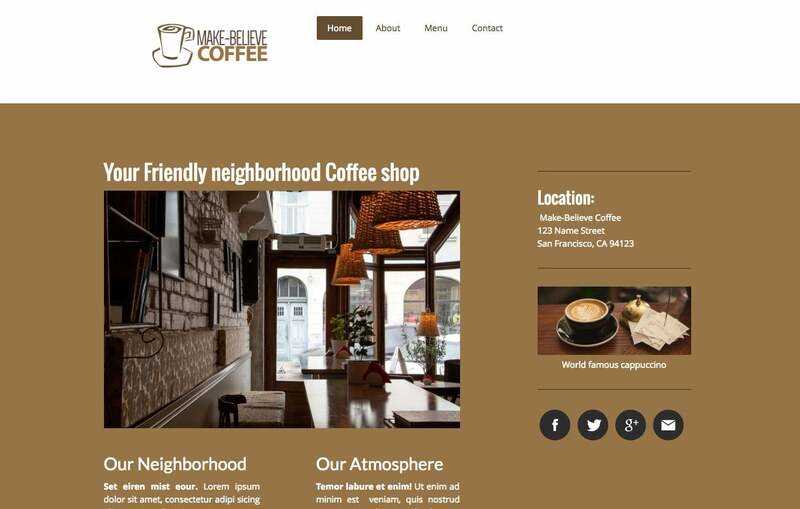 They are normally used in conjunction with large background images that stretch the full length and width of the page. The hero image can show through “cut out” sections of the content area, lending cohesiveness to the entire design. Using high-quality photographs on these pages is a must. Hero areas, like the one on the Rio de Janeiro template, are great for showing off beautiful photos. To get this look, try Jimdo templates Rio de Janeiro, Rome, and Zurich. Fixed navigation has been around for a little while now. It makes your navigation bar stick to the top of the screen as a visitor scrolls down, ensuring that they can hop to another page without having to go all the way back to the top. This provides a small “wow” factor and is great when you have important pages in your navigation bar that you want your visitors to reach, like your online shop. Malaga may be my favorite of the new Jimdo templates right now, and it features a fixed navigation bar. Use fixed navigation on websites that have very long pages with lots of scrolling, but try to limit your navigation bar to one line of links (actually, this is a good practice in general!). If the navigation bar gets taller, it takes up too much screen space and makes reading your content more frustrating for your visitors who are on smaller screens. Demonstrating fixed navigation with the Malaga template. To get this look, try Jimdo templates Malaga, Melbourne, and Miami. If you want to go a slightly different route and save every inch of precious screen real-estate, then slide-out navigation might be right for you. Inspired by mobile apps that depend on expanding and retracting menus to fit all options, slide-out navigation hides the navigation menu off-screen until it’s needed. The website visitor clicks on a three-line icon, often referred to as a “hamburger,” in an upper corner to open up a navigation menu that slides out from the side of the page. For maximum visual impact, use this trend with giant background images or minimal designs. It’s best for a very “clean” look—if your website is busy with lots of information or multiple images, users will have trouble finding the hamburger. The Vienna template’s slide-out menu makes it great for large background photos. The menu in the open position. To get this look, try Jimdo templates Copenhagen, Sydney, and Vienna. Sometimes less is more. Web visitors can be very quickly overwhelmed, so if there is a way that you can present your message quickly, cleanly, and starkly, you may have a better chance of making a lasting impression. Extend this effect to your site’s navigation and present only the exact information that a visitor needs without all the extra fluff. The best minimal sites often use white or another basic color and have lots of space between all of the elements on the page. Simple logos, larger text, and single, isolated photographs can really stand out on a minimally-designed site. Clean and simple sites, like this design utilizing the Barcelona template, never go out of style. To get this look, try Jimdo templates Barcelona, Cape Town, and Helsinki. Using multiple variations of a single hue can make for a powerful visual effect. Minimal palettes also allow contrasting white or black text to “pop” on the screen. Remember that different colors can have strong psychological impacts on your audience, so make sure to choose the right color before trying this yourself. Then you can use a free online tool like Adobe Kuhler to generate five monochromatic versions of your selected color. The Dubai template is tailor-made for monochromatic websites. To get this look, try Jimdo templates Dubai, Berlin, and Milano. As the world slowly adopts faster internet connections, we’re seeing more designers bravely dropping their background images for more dramatic background videos. These sites work best with minimal content areas and very highly contrasting text colors, so the text doesn’t get lost in the background. For best results, select ambient video clips or ones with large areas of similar colors and then utilize smaller content areas and very high-contrasting colors for text. Finding the right video to use as a background can be tricky, but a template like San Francisco works great with some subtle motion in the background. To get this look, try Jimdo templates Singapore, Osaka, and San Francisco. With the launch of an entire library of new templates, Jimdo has made it easier than ever to stay current with modern design trends. We’ll also regularly add new templates, so you will always have the option to update as new trends come along. You can preview and sort through all of the new templates using our Jimdo Template Filter. We love hearing your thoughts on the new templates, so leave a comment and let us know which template is your favorite.